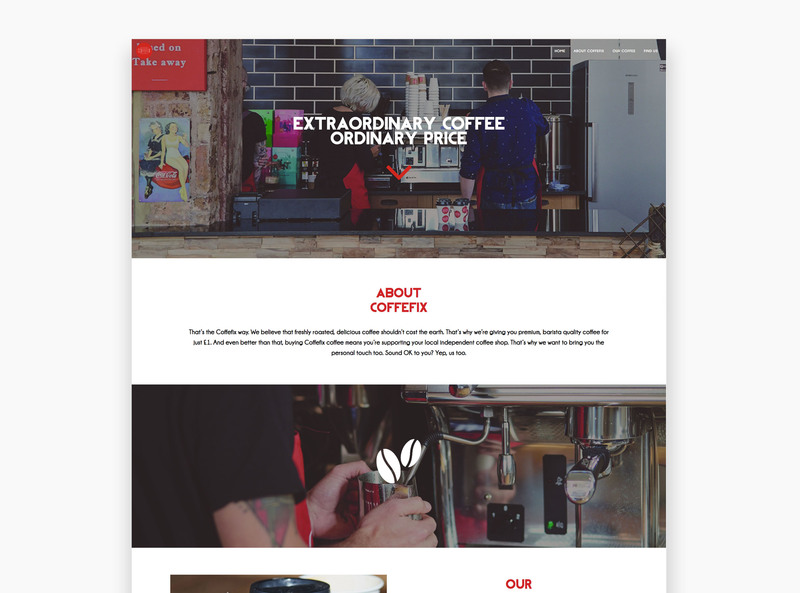 Coffefix wanted to develop a microsite that would complement the launch of their flagship coffee shop, within the heart of Brighton. We were approached to design the key visuals and design aesthetics, of the mobile responsive site. We were tasked with conveying the quality and affordability of the Coffefix brand, whilst ensuring that clear brand guideline were adhered to. We approached this by designing minimalist vector based artwork, that encompassed the brand identity. 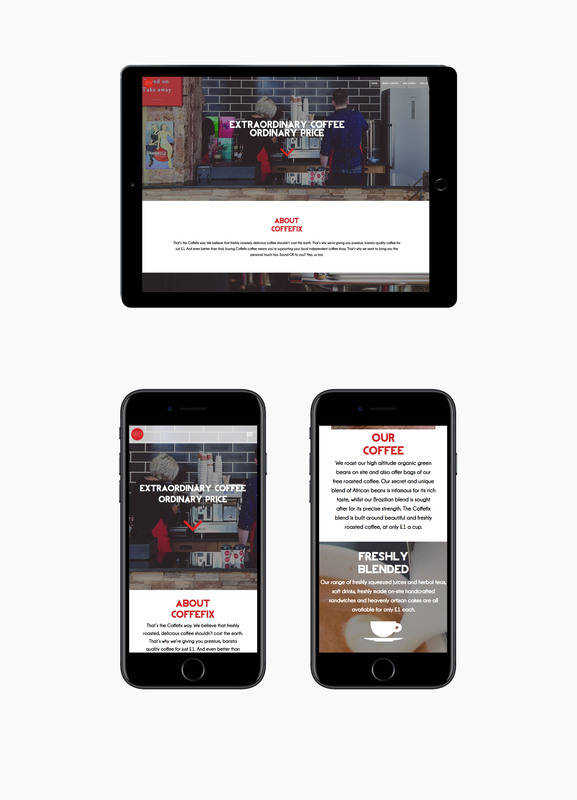 The microsite needed to conform to the brand values that had been established by Coffefix, and to build upon the marketing collateral that had been produced inside and outside of the flagship store. The microsite needed to be built upon a flexible architecture that would allow for future growth of the business, and for orders to be place online in the future. By building on a tailor made version of WordPress, we were able to lay the foundations for future growth and expansion of the company. 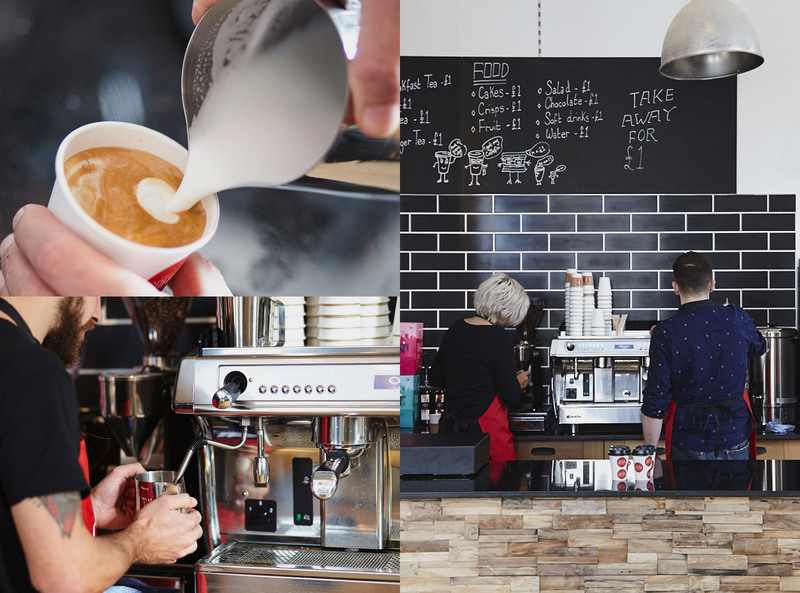 Whilst conducting discovery sessions into the average coffee drinkers mobile usage, we had discovered that around 75% of consumers would use their mobile device to try and locate the nearest coffee shop based on current location. We made sure that we utilised this research and that it was at the forefront of our design. We've developed the microsite to depict the key information as efficiently and concisely as possible when viewed from a mobile device.